One of the best gift shops on Boston's Freedom Trail! Looking for a great Boston souvenir, a new read or a special gift? Visit the Museum Shop at Old South Meeting House, recognized as one of the very best gift shops on Boston's Freedom Trail. 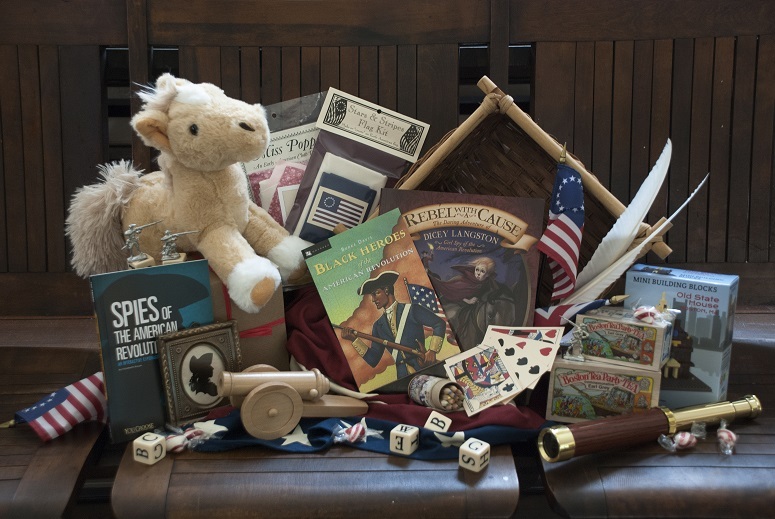 Located in the lower level of Old South Meeting House with its own entrance on Milk Street, our Museum Shop features unique and affordable items for all ages. Here, you'll find a wide selection of books, maps, games, New England-made goods, special tea items, and exclusive Boston Tea Party souvenirs. The Museum Shop also carries the largest array of material on enslaved 18th century poet Phillis Wheatley, who was a member of Old South. The Old South Leaflets are small booklets published starting in 1883 to provide primary source material to accompany educational programs at Old South Meeting House. They proved to be ground-breaking in the study of American history. Today over 200 leaflet titles are available and are used by college and high school teachers, students and home schoolers. The leaflets cover a wide variety of historical topics - from famous speeches to great historical events to reprints of historic documents. Also available is a special, commemorative edition leaflet about the life and work of poet Phillis Wheatley. Please visit the Museum Shop for a full list of available leaflets.